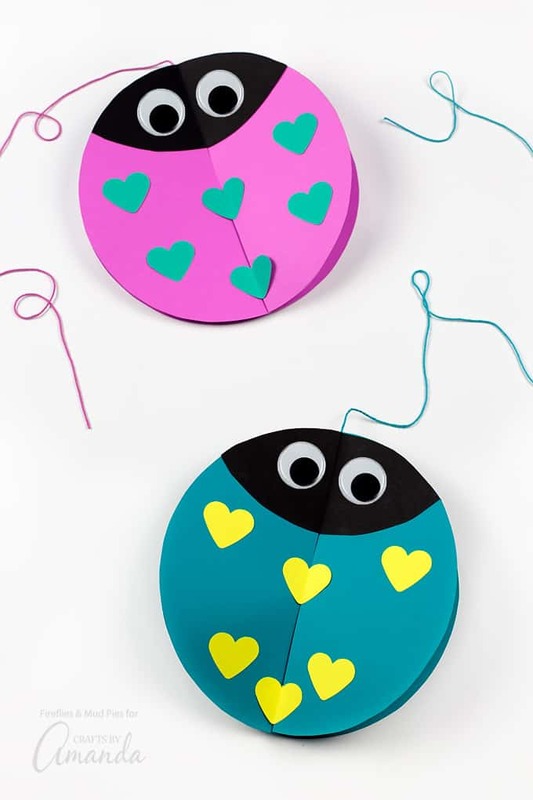 Twirling Lovebugs: an adorable Valentine's Day craft full of love! 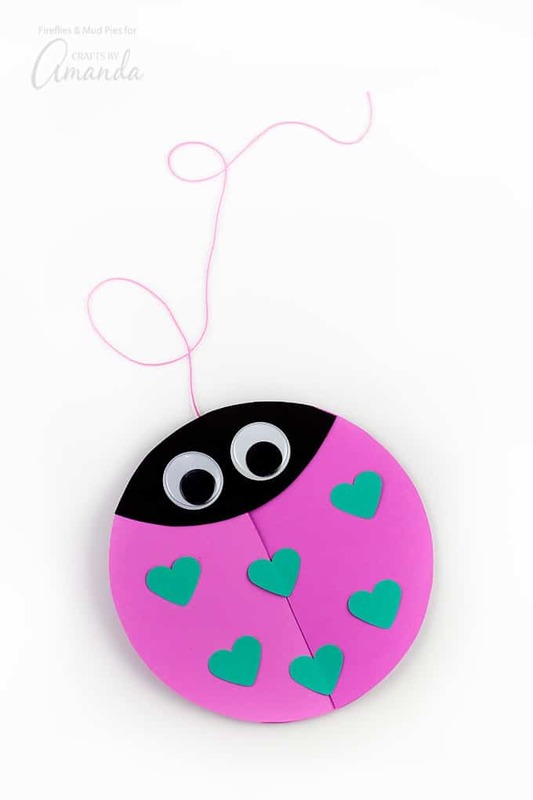 Our Twirling Lovebugs were inspired by our Twirling Ladybugs, crafters of all ages will love making these little cuties! 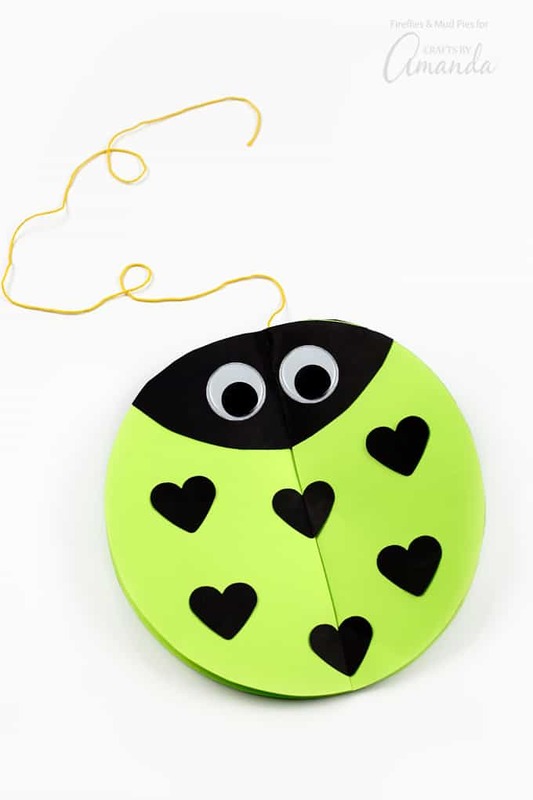 Our Twirling Lovebugs are perfect for Valentine’s Day, but what a fun project for Mother’s Day as well. 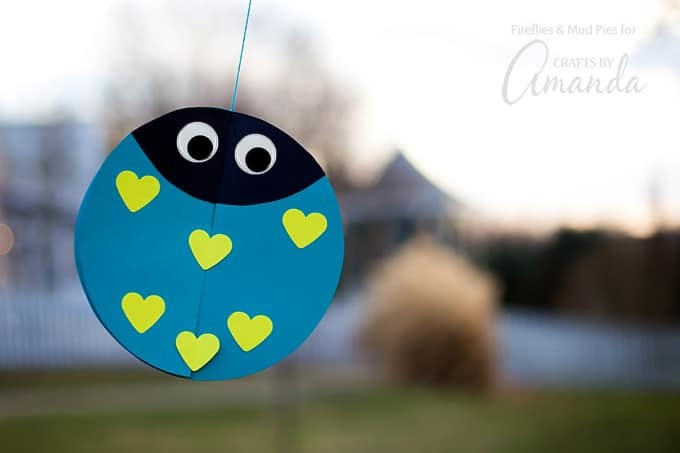 They are a fun, simple, and colorful decoration that will bring joy and smiles to all who see them. Every holiday, I hang whimsical paper decorations above my family’s kitchen table. The decorations make the atmosphere feel festive and fun, delight my kids, and help them remember the answer to their most frequently asked question: what holiday is next? If it is warm where you live, these Twirling Lovebugs also look adorable outside. They swirl and twirl in the wind, making them a cute and frugal decoration for your patio, garden, or porch. I also think they would be a super cute decoration for a classroom Valentine’s Day party. How much sweeter can this Valentine’s Day craft get? RELATED: If you like bug crafts, check out these fun Pinecone Lovebugs and our Plastic Spoon Bugs. 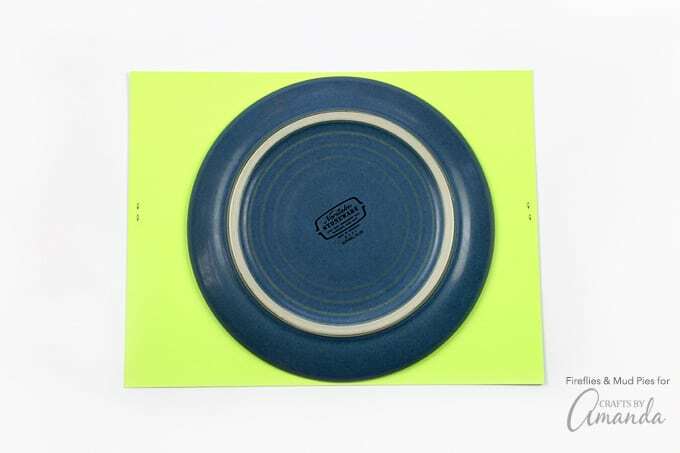 First, you will need to cut 2 circles from the card stock. Place the salad plate on 2 stapled pieces of paper, then trace it. 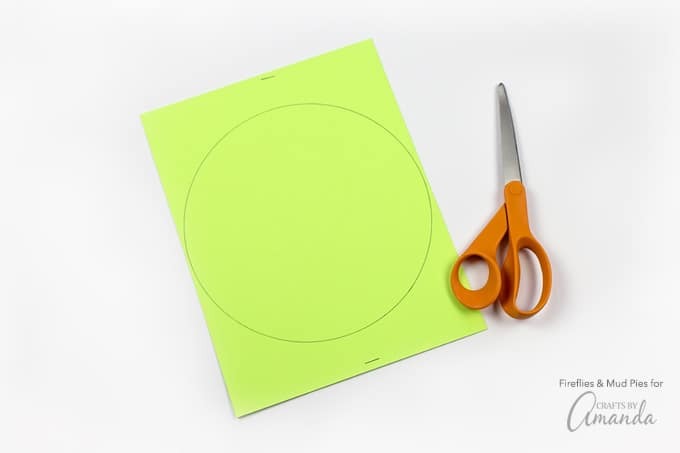 Use the scissors to cut around the circle, cutting both pieces of card stock at the same time. Hold the stacked pieces of card stock together, then cut a slit from one side of the circle all the way up to the center. Slide the slits into each other to create the illusion of 1 flat circle. Make sure the slits are lined up in a straight line. Set the circle aside for a moment while you work on the next step. Next, use your medium paper punch to punch out 24 hearts from another color. Fold 8 of those hearts in half. 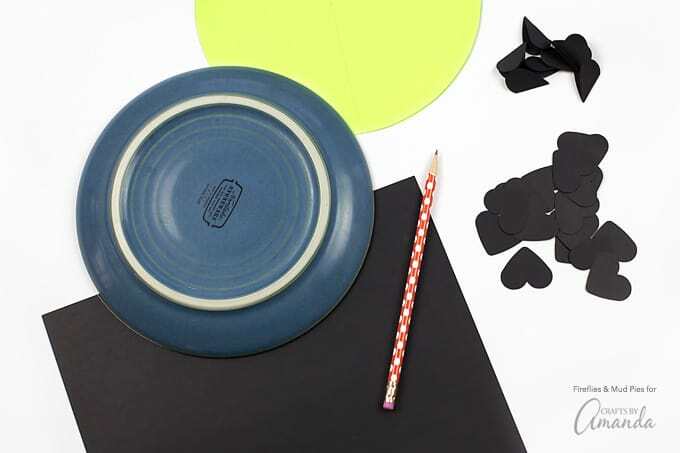 After the hearts are prepped, grab the salad plate and a piece of black card stock. Starting at the bottom of the paper, trace 1/4 of the black salad plate. Cut out the shape and place it on top of your larger circle. Position the black paper with the rounded end facing down, and carefully use the scissors to trim the excess. Staple 2 pieces of black card stock together, then trace the shape you just cut out twice. You will need 4 of those rounded “leaf” shapes to be the lovebug’s face. Fold the shapes in half…then grab your double-sided tape or Glue Dots. 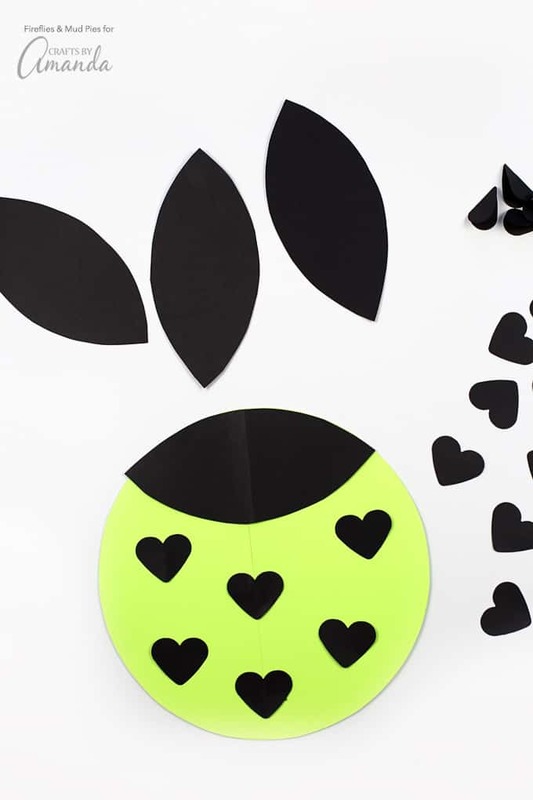 With the circle laying flat, tape down one of the black “leaf” shapes for the love bug’s face. Tape 2 hearts down the center, and 2 on each side of the circle. 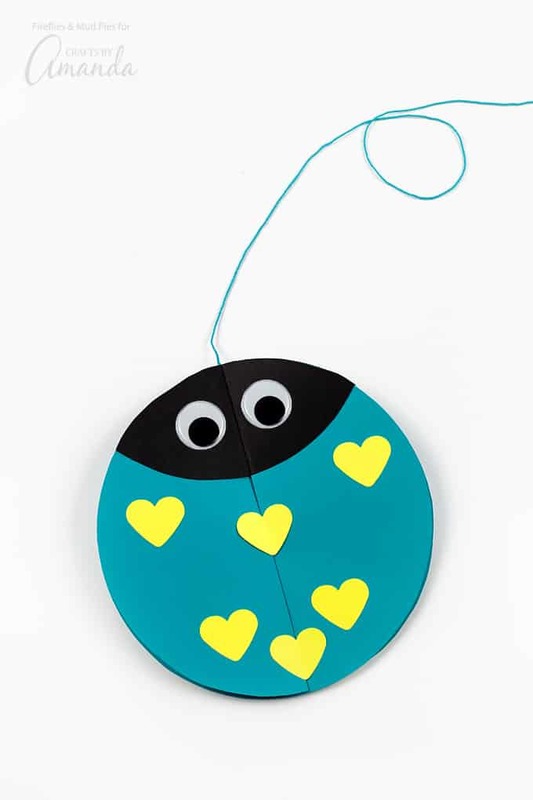 These center hearts and the love bug’s face will prevent your little lovebug from sliding apart when you hang it up. Fold the circle a different way and glue down the face and 6 hearts. Repeat two more times. When you are working on the last face, stick a long piece of string to the tape or Glue Dot, then press the lovebug’s face over it. The tape or Glue Dot should hold the string firmly in place. Last, add 2 wiggly eyes to each of the black leaf shapes. Now the lovebug is complete! Make several more love bugs in a variety of colors! This is what they look like hanging outside. (I didn’t grab many pictures of this, because it’s 20 degrees here!) They twirl, spin, and swirl in the wind. I also think it would be fun to tie one onto the end of a short dowel rod for kids to run with, similar to running with a pinwheel or streamer. 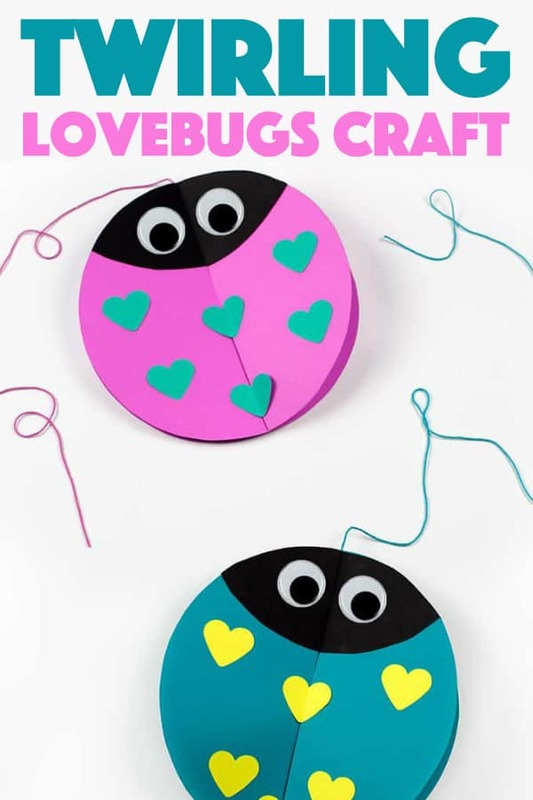 My kids really enjoyed these Twirling Lovebugs, and now our house is perfectly decorated for Valentine’s Day. 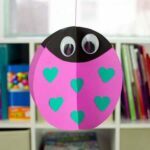 Looking for more Valentine’s Day crafts? Check out these fun Scratch off Valentine Gift Certificates, adorable Valentine’s Day Treat Buckets and my DIY Realistic Duct Tape Roses! This post was originally published on this blog on Feb 8, 2017.